Home > Training > Breed > The Most Intelligent Dogs: Will They Outsmart You? The idea of adopting or purchasing one of the smartest dog breeds may seem appealing, but there are a number of things to consider when adding one of these breeds to your household. Owners need to prepare for the stimulation and commitment it takes to raise an intelligent breed. The biggest consideration for anyone looking to add one of the smartest dog breeds to their family aside from being able to provide for that pet, is being able to provide mental stimulation. These dog breeds stand apart from the rest because they are capable of many skills, but without stimulation these dogs can be extremely destructive. Mental stimulation does not mean throwing a ball – of course physical activity is important – mental stimulation means teaching obedience, teaching tricks and giving your dog a job to do. These dogs require constant learning which requires constant work on your part and failure to provide this stimulation will result in a misbehaving, destructive and depressed dog. You will notice that the majority of the dog breeds on the list of the smartest dog breeds are working breeds – this is no coincidence. Working dogs require the intelligence to adapt to new environments, taking on new skills and obeying commands. As working dogs, these breeds also require a good amount of physical stimulation. Dogs like the Border collie, the Labrador retriever and the German Shepherd are all breeds that are used to herding and retrieving. These dogs have been bred to instinctively perform jobs, which is why physical stimulation is just as important to these dogs as mental stimulation. You should bear in mind that for these breeds, physical stimulation does not refer to a walk around the block once a day. These breeds require playtime, daily walks and even doggy daycare to expend their natural energy levels. 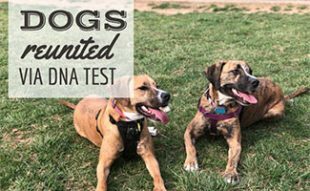 It may seem strange to address the idea of a dog’s genetics when talking about things to consider before adopting or purchasing a smart dog breed, but it is a valid concern. Due to the fact that these dog breeds are so intelligent, they are also extremely in demand which increases the number of breeders and consequently increases the number of poor quality breeders. 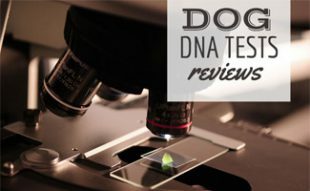 It is an unfortunate fact of the dog breeding world, but there are many breeders out there who breed solely for profit and these breeders seldom research potential concerns in a dog’s genetic line. This type of indiscriminate breeding often leads to genetic and hereditary conditions that can impact a dog for the entirety of its life. One such condition is hip dysplasia which is very common among working dogs. When looking to adopt one of these smartest dog breeds you should always research a dog’s genetic lines thoroughly. Ask a breeder for proof of a dog’s lines, pay attention to clearances of hips, elbows and eyes and ask about any other potential health concerns that are prominent in specific breeds. Any dog requires commitment from their owner but the smartest dog breeds often require their owners to go above and beyond. Owners of the smartest dog breeds often have to invest much more of themselves in to dog ownership. Smart dog breeds require additional time in terms of exercise and training. While all dogs benefit from additional exercise and training, these things are especially necessary for the working breeds on the smartest dogs list. Financial investment is another factor that is often increased for owners of smarter dog breeds simply because their dogs require stimulation regardless of whether their owner is at work or not. This means that owners of these breeds often have to invest in dog walking services or doggy daycare. Other owners of these dog breeds invest in club dues and take part in activities like agility, search and rescue and therapy dog work. It may seem like owning one of the most intelligent dogs is something of a chore but that is not the case for many people. While there are certain considerations for those looking to add one of these breeds to their home, there are many rewards of owning one of the smartest breeds. All dogs offer companionship, but anyone who has owned one of the smartest dog breeds will tell you that there is a level of companionship with these breeds that makes them different. 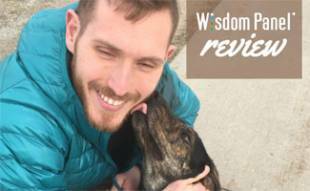 Having a dog that is able to comprehend and follow a number of different commands provides a relationship that is enjoyable and reciprocal in terms of enjoyment. In our adult lives many of us tend to fall in to the routine of work and family and make very little time for anything else. Having one of the intelligent dog breeds that requires more from us that those two mundane elements provides us with an opportunity for extra-curricular activities. Enjoying things like search and rescue work or therapy dog work with a smart dog breed is rewarding and it opens us up to new relationships and activities. Extra-curricular activities are also a great way to give back to our local communities. Are the Most Intelligent Dogs the Only Way to Go? Many people will tell you that once you have owned one of the smartest dog breeds you will never go back to a “normal” dog breed. While this may be true for them, it is not necessarily true for everyone. The fact of the matter is that everyone tends to have a breed specific tendency that is often impacted by their personal experience. 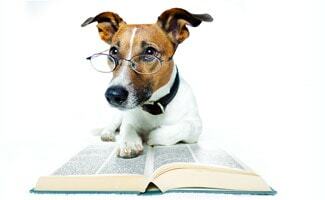 For some people their tendency may be towards one of the smartest dog breeds but for someone else it may be one of the “dumbest dog breeds.” There is so much more that goes in to choosing a dog breed than intelligence. With that said, you may find that once you have experienced life with a dog that understands and obeys your every command that you just can’t find yourself with any other breed. 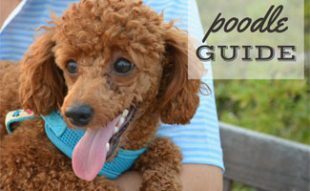 I'm not super picky when it comes to dog breeds, usually most of us look for superficial things like how much they shed and how cute they are when shopping around for dog breeds. I am glad that this article brings attention to the fact that having an intelligent breed is just as important as a good looking one. I also don't have a lot of patience and want a dog that is not only a companion but who is smart enough to be trained easily. Thanks for the insightful article and hopefully more people will see this and agree with me! I consider your article very realistic. The fact that a smart dog will choose a smart owner does not seem so surprising. In most of the cases, people get a dog for their kid and they just play along with what the pet shop owner will give them, or they choose a breed just because their friends have the same breed. It is an act of great responsibility when buying a dog, and even if it sounds harsh, each future dog owner should be honest with himself before getting a dog that requires the extra mile of attention.